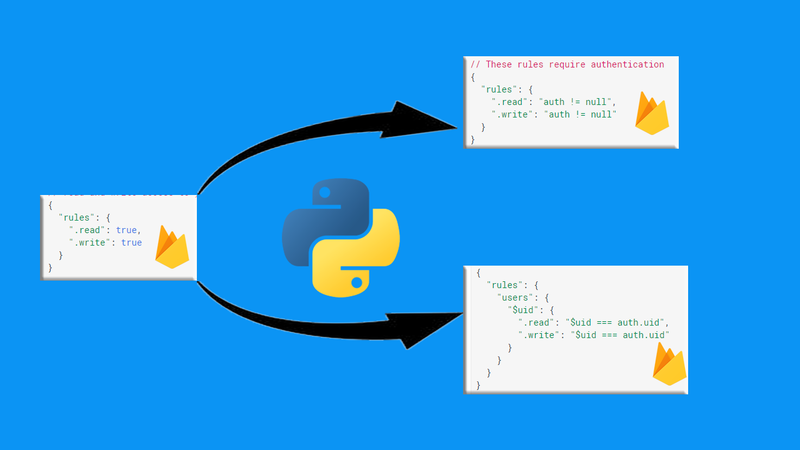 In this post of python django with Google Firebase series, i will continue teaching Firebase database where we will allow only authenticated users to read/write to Firebase Database. If we talk about current scenario we are working Firebase database rules as Public, which means if anybody having your firebase config, can read & write to your database. So, let's see step by step guide to work on Firebase database for Python django so, that only authenticated users can read/write to database. By default, your database rules require Firebase Authentication and grant full read and write permissions only to authenticated users. The default rules ensure your database isn't accessible by just anyone before you get a chance to configure it. Once you're set up, you can customize your rules to your needs. Public rules are for testing purpose only, these rules just require Firebase config for accessing the Firebase database, till now in our series we are just using Public rules for accessing Firebase database. So, now let's see how to configure database as default rules with Pyrebase library for allowing only authenticated users to Read/Write database. 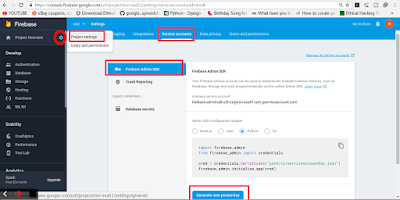 For using default Firebase database rules with Pyrebase library we can optionally add a service account credential to our configuration that will allow our server to authenticate with Firebase as an admin and disregard any security rules. Adding a service account will authenticate as an admin by default for all database queries, but firstly we need to get our serviceAccountCredentials.json, for that need to get there: Settings > Project Settings > Service Accounts > Generate New Private Key. Put that key in some desired location and put that location in the "serviceAccount" path. That's it, now we are able to read/write to firebase database only for authenticated users & we get rid for Firebase Permission Denied with Pyrebase library error. Get Whole Django Project Source Code Here.